Jump to video Are voters speaking out against the establishment? 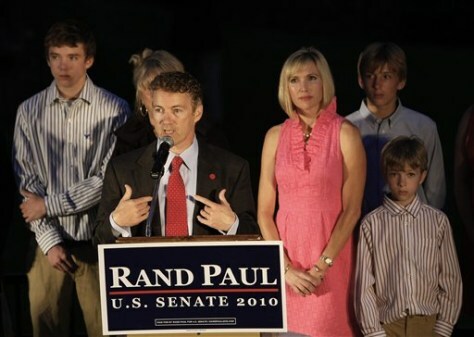 Republican U.S. Senate candidate Rand Paul address supporters at his victory party in Bowling Green, Ky., Tuesday. At left is Paul's son William. At right is his wife Kelley and sons Duncan, top, and Robert.